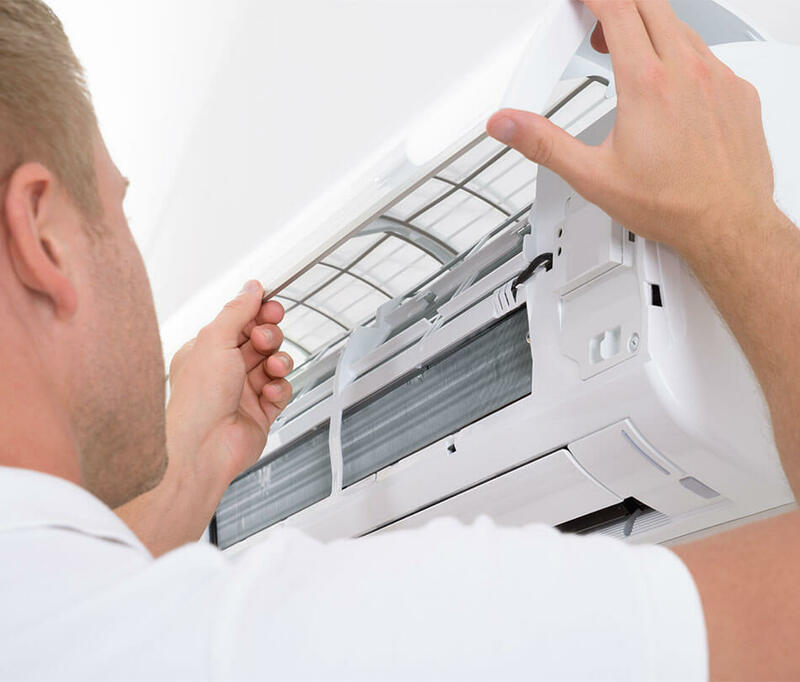 Magic Touch Mechanical provides residential and commercial customers with services including; heating & air conditioning, fireplaces, insulation, energy audits, air filtration and purifiers, HVAC install, replacement, repair, & maintenance services. We service the entire Phoenix Metro area and surrounding cities. As 2017 marked Magic Touch Mechanical’s 20th year in business, we thought it would be appropriate to have our company founder and president, Rich Morgan, tell you “About Us” in his own words in the message below. A message from company founder Rich Morgan. Twenty years ago, when I started Magic Touch Mechanical, I never envisioned the company would have grown to where it is today. I started the company with a few thousand dollars, an older pickup truck, my tools, and an ad in the Penny Saver – a newspaper that doesn’t even exist in the Phoenix area anymore! Initially I figured it would be just me, and one day maybe I would hire an apprentice helper to ride with me and teach him the HVAC (Heating, Ventilation, and Air Conditioning) trade. I never fathomed 20 years later, Magic Touch would be a nationally recognized and awarded AC and heating company, commercial refrigeration company, insulation company, energy audit company, fireplace company, or really to sum it up frankly…a customer service company. I know exactly what the “secret ingredient” to our growth and success was and is – it’s that we realized early on that customer service is our product, and like anything else, we needed then, and need now, to make sure our product is not only the best on the market, but that it’s the best value on the market. When I use the word value, I don’t mean price. Price is what something costs, value is what something is worth. Sure, our company’s size gives us the purchasing power to keep prices low, but it’s the quality of the customer service we deliver to our long–time clients and new customers, that determines the value of doing business with us. Therefore, my business philosophy is simple; all of us at Magic Touch Mechanical need to make sure that every day, we offer more value than our competitors do. It’s really that simple! Some mornings when I arrive at the Magic Touch offices in Mesa, AZ and see all the hustle and bustle of multiple AC installation trucks being loaded for the day’s jobs, service technicians reviewing that day’s workload, department manager meetings, forklifts zooming around, and a half dozen people in their offices on the phone with vendors and clients; I feel like the guy in that Talking Heads song from the early 80’s, Once in a Lifetime. Yes, I count my blessings every day! In 1997, I didn’t even own a home – my office was the living room, and my shop was the 2–car garage in a house I rented in Gilbert. I was really “dipping my toe in the water” as they say, and doing this as “side work” while still working for a small (at the time) air conditioning company in Phoenix. In short time, I knew I had to go “all–in”, so I gave notice to my employer, and Magic Touch Mechanical was born…well sort–of! Not being very business savvy at the time, I made some mistakes early on, including one big one. In 1999, over two years after I started the company, I found out I couldn’t use the company name I had been. It turned out the name was actually owned and registered by someone else – as I said I didn’t know much about business then! She proceeded to ask me to give her “a stack of business cards, because [she] was going to tell everyone about me”, and I explained that I had to change the company name and hadn’t come up with a new one yet. I said, “Maybe I’ll call it magic touch” half joking, but as I thought about it more, I thought it really was a great name. Finally, Magic Touch Mechanical was born (after confirming the name was available this time)! I’ve liked to take things apart to see how they worked since I was a kid, it always just came naturally to me, so appliance and HVAC repair was an easy choice for me thirty years ago when I landed my first job with a large mechanical company. One aspect of the HVAC Industry I particularly enjoyed was designing and installing cooling and heating “systems” for different applications. The more complex and high–tech the system the better! My favorite project type was any one that gave me the opportunity to install a new system in a home or building to replace one that “never worked well” according to the customer. There’s a sense of pride and satisfaction that comes with providing a solution to a problem a homeowner has had for a long time, and just “lived with”. Now you’re the guy who came in and saved the day…and that feels pretty good! The problem for me in the early days was; AC condensers (the outdoor unit of a split air conditioning system), furnaces, air handlers, and evaporator coils are heavy, and many homes have half the system located in the attic – it’s just not a one–man job. I knew if I wanted to do it I would have to hire more people…and so it began. By the mid 2000’s, Magic Touch had exploded in size. We had about twenty–five employees consisting of multiple AC Install crews, HVAC Service Technicians, Refrigeration Technicians, multiple Customer Service Representatives, Dispatchers, etc. We purchased a large commercial building in Mesa, AZ with seven offices, a warehouse with 3 rollup truck bays, giant storage bays that could hold nearly a hundred AC units…we even bought a 51’ tractor trailer just to store ductwork! While air conditioning and heating equipment was steadily becoming much more efficient, the Phoenix area started to see the influx of behemoth–sized HVAC Companies (that made Magic Touch look small) with giant marketing budgets, I started to notice a trend I didn’t like; high efficiency air conditioner installations that didn’t work! What I mean by that is; people were paying these companies top–dollar to install high efficiency air conditioning and heating systems that not only weren’t saving them any money on their utility bills, they were in many cases costing them more money to operate. To add insult to injury, in many cases, when we got a call from one of these homeowners, they would tell us they were less comfortable than they were with their old, allegedly less–efficient ac unit. Or that they bought the house with this system already installed thinking they had a new high–efficiency air conditioner and it didn’t keep the home cool, and ran constantly. This stemmed from issues like poor installation practices, improperly sized equipment, horrible duct designs, and much, much worse. Many of these larger companies would hire just about anybody with a pulse, and within days, these untrained “selling techs” were out in a truck and “practicing” on other people’s homes, with other people’s money! I can tell you from experience, as a thirty–year veteran of the HVAC Contracting Industry – it takes many years to become a great AC installer, technician, designer, and/or sales consultant. Replacing just “the box” does not solve comfort issues. There’s a reason they call it a craft! Home Energy Audits – the "Whole Home Solution"
Newer homes were being built using better efficiency standards, and could be tested prior to earning certification as an efficient home. Why not apply that same testing to existing homes and “verify” the work is completed to the highest standards, and that the HVAC system, the insulation system, the water heater system, the duct system, etc., were going to perform as designed, and deliver the performance the equipment manufacturer intended? All of this technology and knowledge already existed, and there were contractors in other parts of the country practicing these methods, but only a handful in Arizona – and the ones who were, focused mostly on new home programs like LEED. Magic Touch jumped in with both feet. 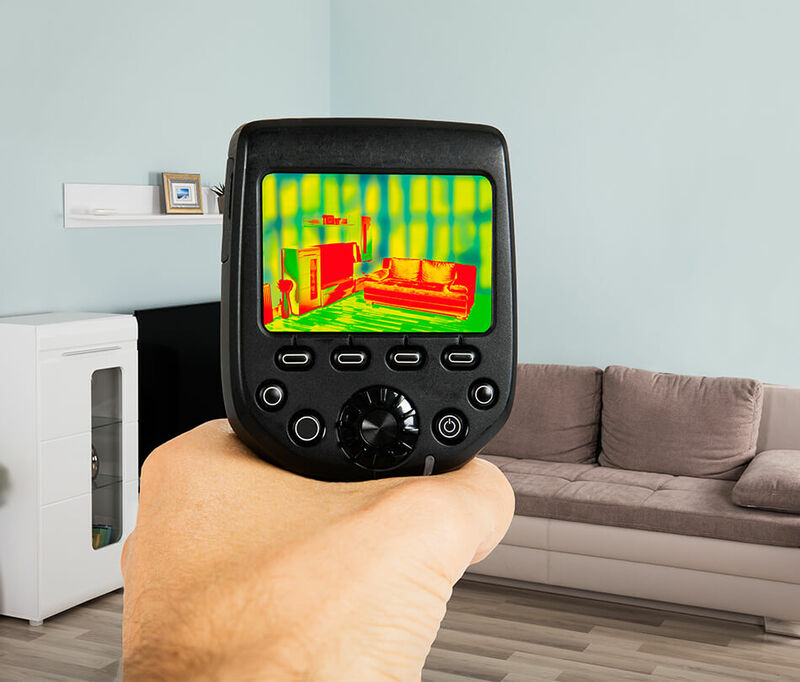 We purchased sophisticated (and expensive) equipment like thermal image cameras, duct leakage testing equipment, building leakage testing equipment, and more. We joined associations and hired training companies to fly in and train our technicians, installers, and estimators how to conduct the testing properly, what to look for on an initial inspection, etc. We even created what would now be labeled archaic, home modeling reports (at the time there wasn’t really a good efficiency modeling software on the market like we have today). Keep in mind this was all before the utility programs offered rebates in Arizona so most of the “energy audit companies” that came out of the woodwork in recent years didn’t exist then. Today, we have conducted literally thousands of home energy audits, home inspections, etc. and have completed the associated home improvements for more as many satisfied customers. What Does the Future Look Like for Magic Touch? Today, we have department managers, a general manager, a human resource and recruiting department, bookkeepers, even a weekend and evening customer service representative (we are open for business seven days a week). We continue to grow, but it’s controlled growth. We have no intentions of trying to be the biggest…only the best! To all the loyal clients who have trusted us with your business for the last two decades, written thousands of wonderful reviews and testimonials, and referred your family and friends, I speak for the whole team when I say thank you from the bottom of our hearts!